This looks like a not-to-miss conference - though I'm not sure I can get to Boston those days. Anyone interested in Jewish manuscripts and illustration should make the effort. 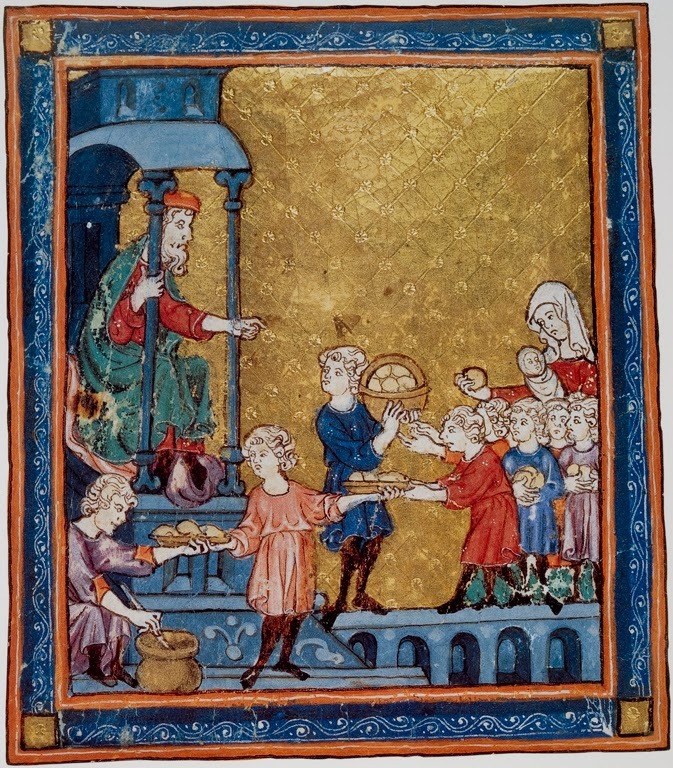 "Meanings in the Margins: Text and Image in the Medieval Haggadah" Abby Kornfeld, The City College of New York "'The End of the Deed is Implicit in the First Thought': Implied ensuing action in medieval manuscripts made for Jewish audiences." Matilda Tomaryn Bruckner, Boston College, Chair "'And the earth did not cover him': The murder of Zechariah and its revenge" Zsófia Buda, Oxford Centre for Hebrew and Jewish Studies, Yarnton Bodleian Library, Oxford "Pharaoh Alfonso the French Falconer"
Ruth Langer, Boston College, Chair "Jews and Arts in Medieval Apulia" Linda Safran, Pontifical Institute of Mediaeval Studies "Stars and Bones: Revisiting Ezekiel's Visions"
As it happens I'll be giving five talks and lectures on Jewish topics in Syracuse and Dewitt this month hand next. Four are deal specifically with Jewish art and architecture and are free and open to the public. In addition, this Wednesday (February 5th), I'll be speaking about Jews and the Civil War at Syracuse Stage in conjunction with the current production of The Whipping Man, a play by Matthew Lopez, before the 2 pm matinee performance. Jews are the “People of Book”, but surprisingly to many, they are also “People of the Building.” Given the opportunity, Jews have built beautiful synagogues for their communities for hundreds of years. Inspired by the detailed architectural accounts in the Bible, and also by their contemporary surroundings, Jews in many places have fulfilled the concept of Hiddur Mitzvah (glorify the commandment) through architecture and architectural decoration. Great synagogues have been built in Europe of since Middle Ages, but especially since the lavish inauguration of the Portuguese synagogue in Amsterdam in the late 17th century the stream of impressive Jewish buildings has continued with little interruption on every inhabited continent throughout the world. This lecture illustrates this architectural and artistic heritage with historic and contemporary images, and traces its survival in the 21st century with special emphasis on lesser known “great synagogues,” on recently restored buildings, and on some of the newest synagogues built. 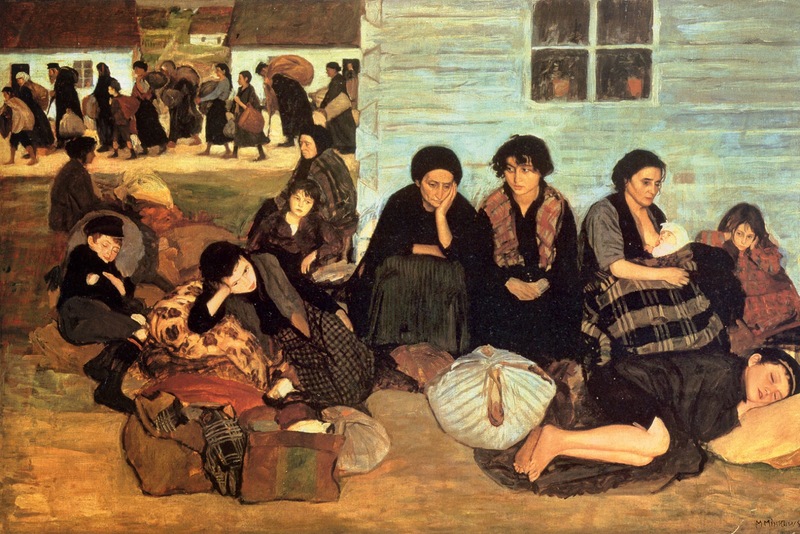 The 19th century was a transformative period in Jewish art. It was the century when Jewish art and art by Jews moved from the synagogue and the home into the public sphere. 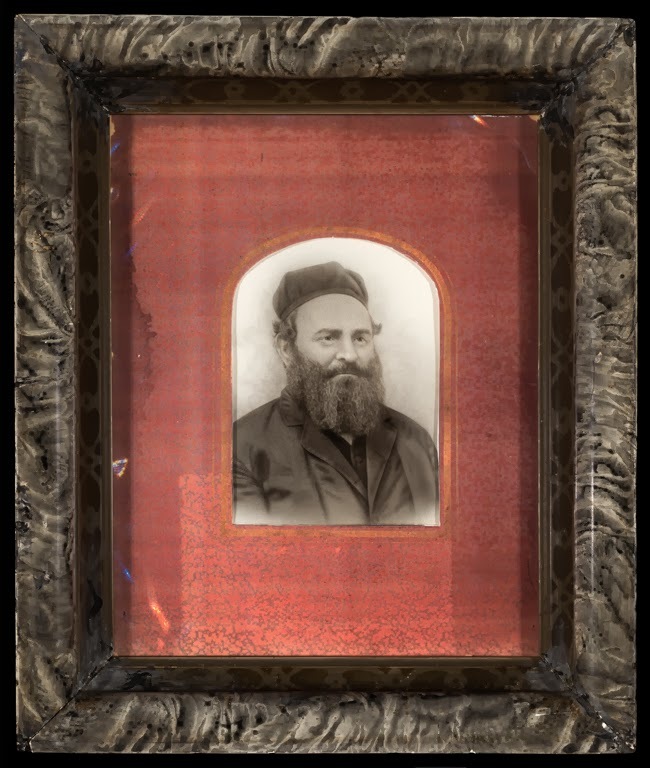 These three lectures address different aspects of the new development in a variety of setting as Jews encountered new media (oil painting, sculpture and photography) and experimented with new themes and styles. Following the French Revolution, Jews gradually achieved more and more political freedom in Europe, and by 1825 many Jews had received secular educations and begun to participate in broad cultural and artistic activities. Jews attended art, design and architecture schools and began to compete in open competitions, and also for private commissions. Throughout a growing number of artists attended painting academies and exhibited in public exhibition. While much of their work reflect popular taste and common secular and even Christian religious themes, they also produced a body of work based on the Hebrew Bible, synagogue life and the Jewish in which they were raised and sometimes still were grounded. By the end of the 19th century, academically trained artists were most overtly addressing Jewish social and political themes in their art as well as religious traditions. In the independent studios of the early 20th century many of these trends continued, though styles changes. Many Jewish artists actively engaged in and promoted new art styles including impressionism, Art Nouveau, cubism, fauvism, expressionism and constructivism – sometimes distancing themselves from all things Jewish, and sometimes building on Jewish themes. Art and ethnography came together in the first part of the 20th century as Jewish photographers began to document traditional Jewish life in Eastern Europe and the Middle East. Some of the intent was preserve memories of a culture that was clearly changing; another part was already nostalgia – something Jewish painters had already pioneered. From America, Jewish charities hired photographers to document the needy conditions of Jews in order to help promote aid programs and stimulate private contributions. But Jewish artists – including many women – embraced photographer for its experimental and expressive qualities, too, and Jewish photographers joined the new artistic avante-garde of Expressionism, Constructivism and Dada, and also the new field of photo-journalism. In the post-World War II period, American Jewish photographers turned their camera on themselves and their more immediate environment. The New York School of photographers blended autobiography, existentialism and a gritty realism to present a more varied look at American than found in advertising and the mainstream media. Recent Trends in Jewish Art: Who is Jewish and Whose Judaism? In the past three decades Jewish art – and Jewish artists as become self-aware. New museums and galleries, and lectures like these have once again stirred debate about what is “Jewish art?” Post-war Jewish artists grew up in a world where Judaism was often defined by the Holocaust and Israel. But many artists raised on pop art, comic books and TV, and having also witnessed the civil rights movement, ethnic politics, feminism and other group empowerment programs, have pushed traditional definitions of Jewish art to include new media and a whole new range of subject matter. Importantly, they have been quick to identify their work as Jewish or even “too Jewish” and have used irony and often irreverent humor to address questions of religious, cultural and ethnic identity. This lecture looks are some of the many and often competing trends and some of the most accomplished and sometimes provocative artists. 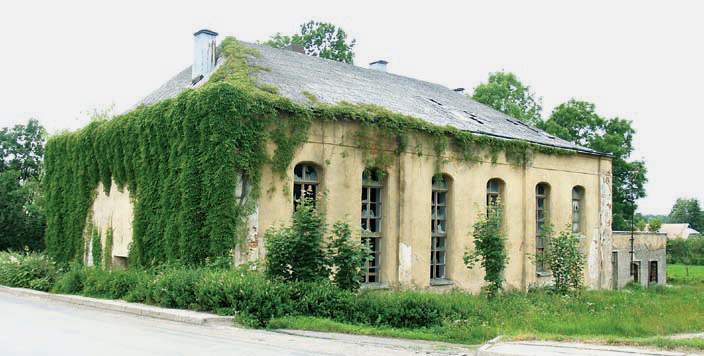 Lithuania: Can the Early 19th-Century Synagogue of Žemaičių Naumiestis be Saved From Demolition? 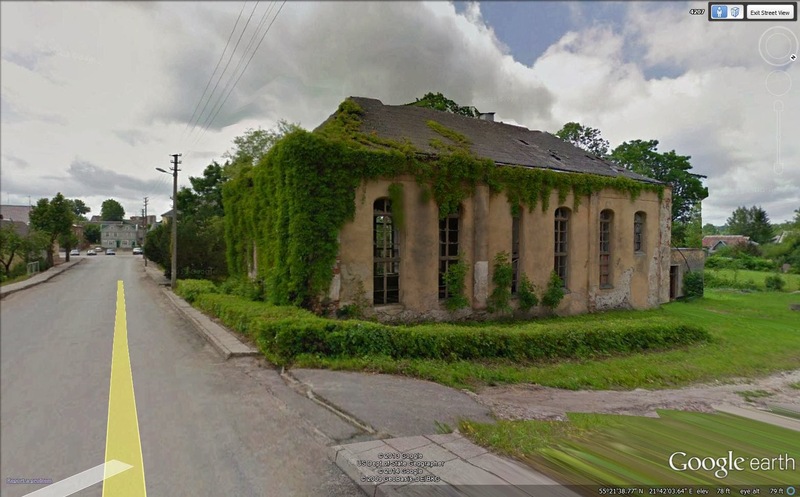 (ISJM) The group Jews in East Prussia reports that a permit has been granted by local authorities for the demolition of the former the former synagogue of Žemaičių Naumiestis (Neishtot-Tavrig in Yiddish), a town in Klaipėda county, Šilutė district municipality, located in western Lithuania between Klaipėda and Kaliningrad Oblast. 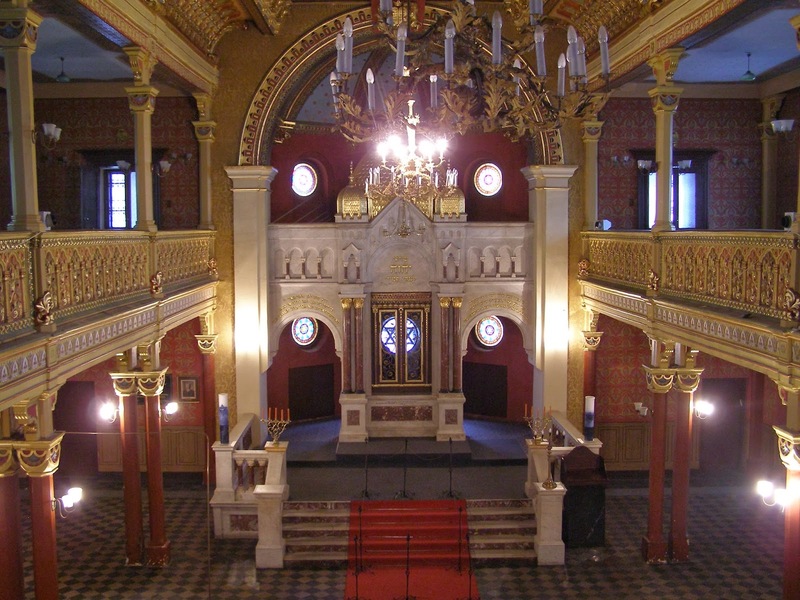 The synagogue was used as a cinema under Communism. It was apparently empty even a decade ago, but still was in adequate condition. It is now empty and neglected. It is not owned by any Jewish community, nor has it apparently been claimed. It is not listed as a historic monument. Jews settled in the town in the 17th century, and by the late 19th-century the town had a substantial Jewish population - almost 60% of residents, many of whom were involved in cross-border trade with East Prussia. The synagogue dates from the early 19th-century and was the center of a substantial Jewish community before the Holocaust. The building was substantially damaged in World War I, when much of the town was burned. After rebuilding ca. 1919, when it received a new roof, it was the scene of the deportation of local Jews to execution and labor camps in 1941. 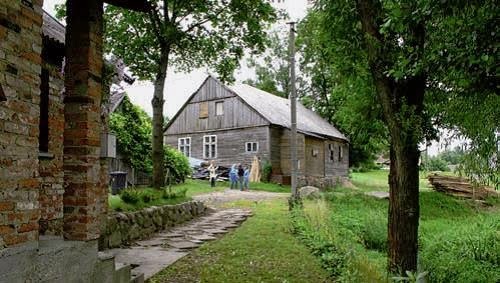 The building's history and architecture (and that of the nearby wooden Beth Midrash) are extensively documented in Synagogues in Lithuania, Vol II(2012). A plaque was installed on the synagogue in the 1990s. The Lithuanian text in translation reads: "HERE UNTIL JUNE 22, 1941 WAS SYNAGOGUE WHICH WAS LED BY THE WORLD FAMOUS RABBI J. M. LESINAS (Rabbi Lesin in Yiddish)"
The synagogue building has been abandoned for many years, and the roof is near collapse. While this eminent danger has apparently triggered the call for demolition, there does not appear to have been discussion of alternate measures to protect the structure - even as a preserved ruin. The group Jews in East Prussia has vowed on their web site and Facebook page to save the building They propose getting an architect to check the stability of the walls and to arrange the repair of the roof to fix the roof and then to find an investor for any use "just to keep the building and to have a spot, where the history of the Jewish Community can be decently honored and preserved." 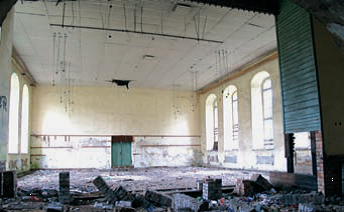 Looking at recent pictures, it looks like the roof would have to be entirely replaced, and this would be difficult to fund without a per-determined use. Any plan would require finding not only funds for the restoration, but also a new purpose for the building. In some other Lithuanian towns local museums have utilized former synagogue buildings. This is a small town, however, clearly with limited resources. Given what I now know of the situation, and my experience from other sites, I propose consideration of a different solution; that the damaged and dangerous roof of the synagogue should be removed entirely (I am not sure if this is the remains of the roof added ca. 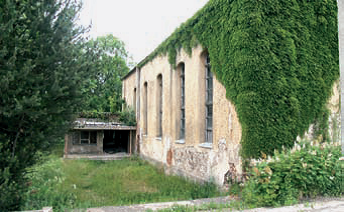 1929, or a replacement roof from the Communist period) and that the walls, with their large windows, should then be conserved as a memorial ruin. In time, it would be good to see this integrated into a larger Lithuania Jewish Heritage Memorial route, similar to those beign developed in Poland, the Czech Republic and elsewhere. Presently, most of the attention to Jewish history and culture in Lithuania is focused in Vilnius, and is not dispersed thorough the country, where a number of wooden and masonry synagogue survive (for how long? ), and where there are many cemeteries with Holocaust memorials. 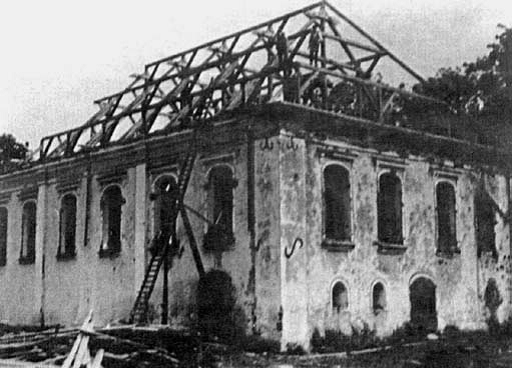 The Žemaičių Naumiestis synagogue could be established as a monument in a memorial park setting, similar to what has recently been done in Nowy Korczyn, Poland, which, in the words of Ruth Ellen Gruber, was" long a "poster child" for a ruined synagogue that no-one knew what to do with," and Dzialoszyce, Poland. Both these projects were described (with photos) earlier this year on Jewish-Heritage-Europe.eu. One can also see an early and more limited version of this type of preservation in Tarnow, Poland, where the masonry bimah of the Great Synagogue has long been preserved in a memorial setting since the early 1990s. In Žemaičių Naumiestis, where other aspects of the Jewish religious compound still survive, it is important to preserve, at the very least, the massing of the synagogue building. Some type of impermeable ledge can be constructed atop the walls to prevent excessive water penetration into the masonry from above, and a slightly projecting ledge can also help preserve - at least for many years - much of surviving stucco on the walls. This is will cost money - more than the cost of demolition but much less than the cost of a new roof, or of any other type of restoration. At the same time, the potential for conservation the nearby wooden Beth Midrash should be explored. If authorities allow time for consideration, a proposal for transformation of the building can be prepared and presented. Žemaičių Naumiestis, Lithuania. 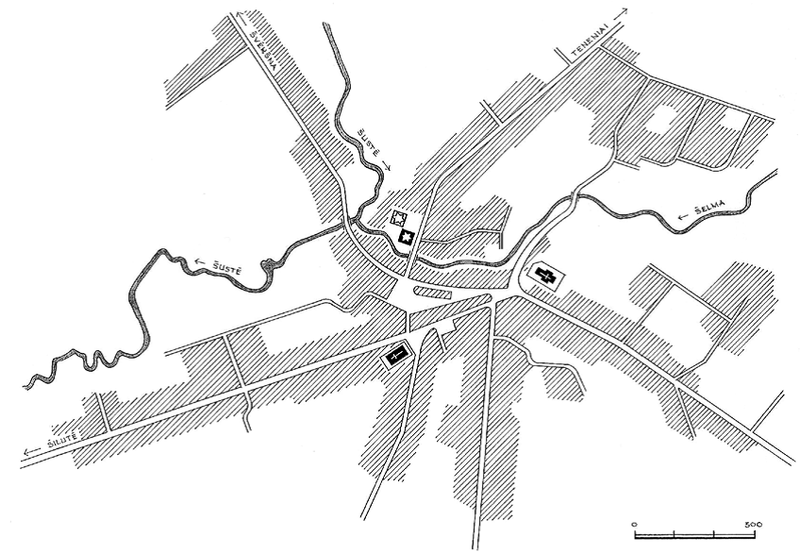 Map showing relationship of synagogue to Catholic and Protestant churches. From Synagogues of Lithuania, Vol II., p 393. The Žemaičių Naumiestis synagogue offers special opportunities because of its location in the town. The building can be preserved and interpreted on several levels. First, it is a memorial to the history of the Jews of the town, and their fate in the Holocaust. The architecture of the building allows its preservation as a monument - seen from the outside, and as a memorial when viewed from within. Informative historical signage can be attached to the inner walls, in open-air a gallery like setting (new and lasting materials now exist to allow higher attractive weather proof signboard). The synagogue interiors could include benches for quiet contemplation, but could also (in good weather) be set up with movable chairs or benches for performances of all kinds. Such enclosed performance spaces - with no historical associations - are known elsewhere, and the open air room as an enclosed memorial has been used effectively for several recent Holocaust memorials - notably the Umschlagplatz Memorial in Warsaw, and the Little Camp Memorial in Buchenwald. To me, using the extant walls of the synagogue would be even more effective. The synagogue can also serve as the hub for investigation of the Jewish past of the region, including cemeteries in Žemaičių Naumiestis, and a retracing of the "Jewish geography" of the town and region. Importantly, the synagogue can be linked to other religious buildings in the town recount its multi-cultural history, a lesson very important in 21st-century Europe. Within walking distance of the 1816 masonry synagogue is the wooden Catholic St. Michael Church (1782), a stone Protestant church (1842).